Ask anyone who has spent many years reloading used cartridges and they’ll confirm to you that a case trimmer is probably the most important tool in their career. Likewise, if you’re just getting started in the world of reloading, chances are that you’ll not take long before you realize how important these handy tools are. What you need to keep in mind is that every time a cartridge is fired, the brass tends to expand slightly. Eventually, this gradual expansion takes its toll on the cartridges until they’d no longer fit within the chamber. That’s why an investment in the best power case trimmer matters a lot. Using this gadget improves your accuracy and cuts down on wastage – eventually, this translates into improved accuracy and simplifies the chambering and extraction processes. By ensuring you’re consistently trimming your cases, you effectively guarantee that your rounds will remain of exactly the same size. This further reduces the risk of malfunction effectively ensuring that your semi-automatic rifle lasts long. Let’s take a closer look at some of the most sought-after case trimmers – and why they remain incredibly popular. Ranked as the leading and best-selling case trimmer, this innovatively built machine trims brass in a matter of seconds – leaving no rough edges. It comes with a Bushing System and Adjustable Collet indexes both which make it super easy to achieve precise results with its trim. All you need to do is adjust the case holder and insert brass into it as the collet aligns the case with the cutter. The cutting process takes place as the mouth contacts the cutter and stops immediately the shoulder touches the internal bushing. As you can see, the Frankford Platinum Case is easy to use and highly accurate. It’s also quite heavy-duty and convenient to store. Highly effective collet system that works with 460 Weatherby and 17 Remington cases. Handy shoulder cases for added precision and speed. Does an incredible job of trimming and leaves no rough edges. Made from aluminum and steel for added durability. Well thought-out cutters which are capable of staying sharp for long. Built-in storage box which makes it easier to keep things organized. A bit boring to operate especially when with lengthy trimming sessions. Lacks instructions on how to install the cutting head. Case prepping is a tedious process with so many brass preparation procedures to be done. Lyman 6702203 Case Prep has revolutionized case prepping. The Lyman 6702203 Case Prep center is designed with a high performing motor gear. The center performs five different functions at the same time and is ideal for high volume reloading. It, therefore, does all brass preparation functions. It brushes case-necks, it cleans and uniforms primer pockets and reams military crimps. It can chamfer cases both inside and outside. Save yourself the hassle of doing case prepping manually. No more hand blisters and hand aches using this center. The package comes with all of the case prep tools and therefore you make one purchase with no need of purchasing additional accessories separately. You will various tools including receive primer pocket reamers, brushes and chamfer cutters. Fast reloading because of five different functions being performed at the same time. Comes with all important case prepping tools. Because of doing 5 different functions, the case can be a bit complex to operate. Simplify your reloading with the Hornady Lock-N-Load center. Designed to take care of all your case prepping needs, it integrates case prepping tools with case trimming because it has a built-in case trimmer. It is designed to do all brass preparation functions. The center is manufactured from metal and therefore it is heavy and durable. Using this tool will save you time in reloading because you can cut a lot of brass at the same time. What’s more, it will save you from manual reloading which is cumbersome and leaves your hands fatigued and blistered. The package includes five neck brushes, deburr/chamfer tools, a power trimmer and a primer pocket Cleaner. You need to buy other case prepping tools separately including the flash hole debur, a primer pocket uniformer and pocket reamers. Heavy and does not slide on the workbench. Removable plastic trays making the process of collecting shavings easier. Designed to keep shavings in the catch trays and not in the cases. You have to purchase some accessories separately including the primer pocket reamers, flash hole debur and a primer pocket uniformer. Not qualified for international shipping. Trim Mate Case center removes complexities in the process of reloading. The center is designed to do hunting gun reloading case trimming tools. For starters, it is designed to do both case prepping and trimming. The center does all brass preparation tasks including chamfering, deburring and other functions. This helps you do case prepping processes fast, saving you time and at the same time sparing your hands from aches and bruises. In addition, the center is well built and made from high-quality materials and operated by five gear rotating heads. The center comes with various reloading tools including case neck brushes (small and medium), primer pocket brushes (large and small), deburring heads, chamfering heads, outside deburring tools, dry neck lube packet. The station has two fixed positions for placing case neck brushes and other tools and an area for putting case neck lube. With five stations, it is fast, saving you a lot of time in prepping. Other tools have to be purchased separately. 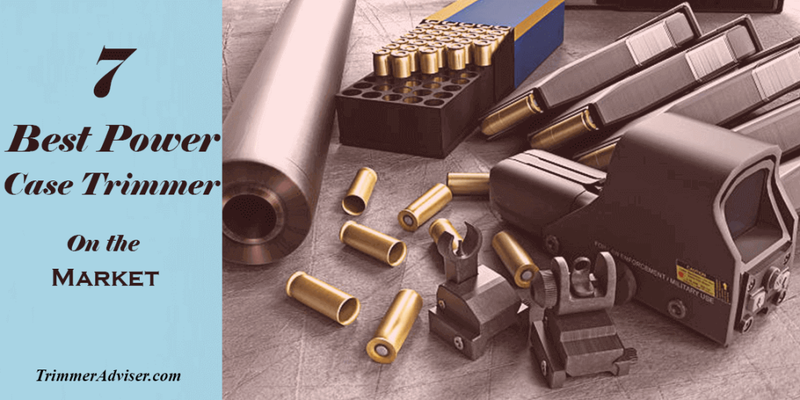 The process of reloading needs to be easy and should provide accurate case lengths. Make your trimming process efficient with the RCBS Pro-2 Trim Power Kit. This case trimmer removes the headache out of preparing hunting gear. It works with precision and speed helping you reuse your ammunition conveniently and produces accurate case lengths, with no rough edges. Most importantly, the trimmer is constructed from high-quality materials. The trimmer is also designed with a spring-loaded shell holder which locks the case and cutter well. We like the fact that the trimmer works with standard pilots. Installing it is easy and fast, you will just attach it to a workbench and you are good to go. The case trimmer works with .22 caliber and .45 caliber. brass ammunition. It is designed with shell holders. It is electric and works faster than manual case trimmers. It has multiple shell holders. The trimmer is powered by electricity and cannot be used on a hunting trip without electrical power, therefore, you will be required to prepare your ammunition in advance. Hornady Lock-N-Load 050160 has made case prepping fast and easy. Made in the USA, Hornady Lock-N-Load 050160 has simplified the process of brass preparation with its features. For starters, it is a very powerful machine that has three spindle heads. The case prep has an efficient motor that drives the three spindle heads. Because of its trio-tool feature, it provides convenient reloading because you don’t have to keep changing tools. You can mount three essential tools at once and start working. The case prep, therefore, requires little effort to operate it thereby saving your hands from fatigue experienced using a manual process. In addition, Hornady Lock-N-Load 050160 is designed small and therefore portable. Another advantage of this case prep is that it is made from aluminum, making it is durable. The package comes with inside and outside chamfer tools and deburring tools and provides space for storing other accessories. It has a capacity for three tools because it has three spindle heads. An easy to use station and quiet when operating. Hornady Duo is a reloading multifunction power tool which also works as a powered screwdriver. It is ideal for large volume brass preparation processes. Hornady Duo is made from rubber and other quality materials, making it durable. In addition, it is run by a battery-powered motor. The Case Prep is designed with two spindle heads. Hornady Duo is designed with a removable dual-drive/twin spindle head. It can be used with the spindle head to do reloading functions. When the spindle head is removed it works as a powered screwdriver. This tool performs various reloading functions. It is easy to operate this tool which has an ergonomic handle for easy grip. The tool houses various reloading accessories including neck brushes, deburring tools, chamfering tools and primer pocket cleaners. The package comes with deburr tools, chamfer tools and a plug-in-charger. What’s more, it is cordless and rechargeable. It works very fast while saving your fingers and hands from weariness and minor injuries that come with manual reloading. It has multipurpose functions. It works as a reloading tool and as a screwdriver. Ergonomic handle and therefore easy to grip. By investing in a good, budget-friendly case trimmer, you stand the opportunity to optimize your rifle’s life. But that’s not all. Indeed, as our experts found out, there are quite a few merits to investing in these handy devices. While it’s important to trim cases every now and then, doing so regularly improves on accuracy and minimizes on wear and tear. As a matter of fact, the best way to become effective at using ammo is by ensuring that your ammo is consistent i.e. every round will be exactly the same. As you know, even a fraction of MOA can translate into a serious loss of accuracy especially when long distances are involved. 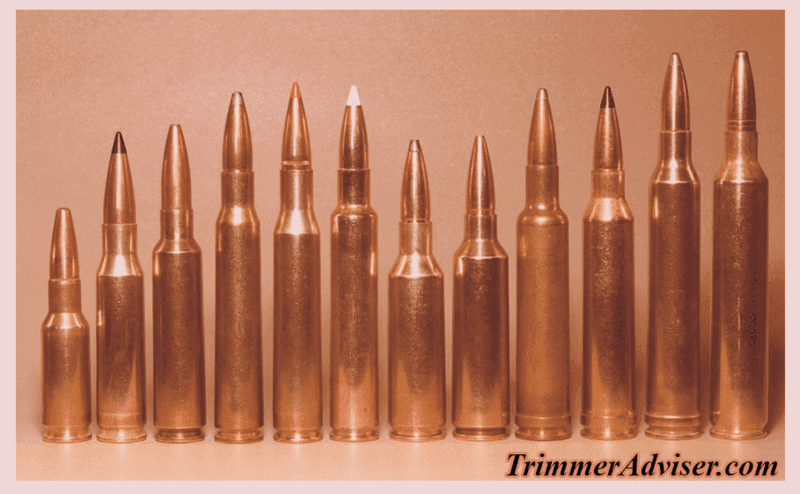 By ensuring that all your ammo are exactly the same, the chambering and extraction process is simplified. Use rounds that are a tad longer and your precious rifle will run the risk of malfunctioning. So, whether you’ll be out there hunting coyotes or facing the task of shooting a 3-gun match, trimming your brass is a great way to minimize jams. Last but not least, by frequently putting your case trimmer to use, you end up with a better –finished product. This goes a long way in improving your accuracy and enhancing your consistency. Without mincing our words, we can confirm that for anyone who reloads cases into match grade ammunition, there’s no shortcut to sustaining great quality. A quality case trimmer is a must-have. Chances are that by this time you’ve already settled on the best case trimmer. Just to be sure that you’re about to make the right decision, it’d be nice to take a quick look at the following quick buying points. A carbide cutting material is best for high volume reloaders but if you aren’t one, consider settling for a high-speed steel cutter for routine trimming. Manual trimmers are best for small cutting jobs, they also tend to be quieter but if looking for high volume cutters, electrically powered trimmers would be a perfect match. Prepare to dig deeper into your pockets for high-quality trimmers but if you’re looking for a cheap way to get the job done, insist on getting a no-frills, budget-friendly reloading equipment. Even though all the case trimmers reviewed above are above board, we think that the best overall position belongs to Lyman Xpress 6702203 Case Prep 115V. This product combines a fantastic mix of features and has established a solid track-record on the markets as well. Quality, ease-of-use, the combination of features and cost are probably some of the mind-boggling aspects you’ll encounter when shopping for the best case trimmer. And given the fact that no two or three case trimmers are equal, it’s important to always go for a unit that’s touted as a winner through expert reviews. This simple strategy can help you save tens of dollars whilst benefiting from high quality and hassle-free trimming sessions.